To get upper body strength fast, do the most effective strength training exercises for your arms, shoulders, chest and back. Your muscles are made up of tiny muscle fibers, which rebuild stronger when damaged from doing resistance training. 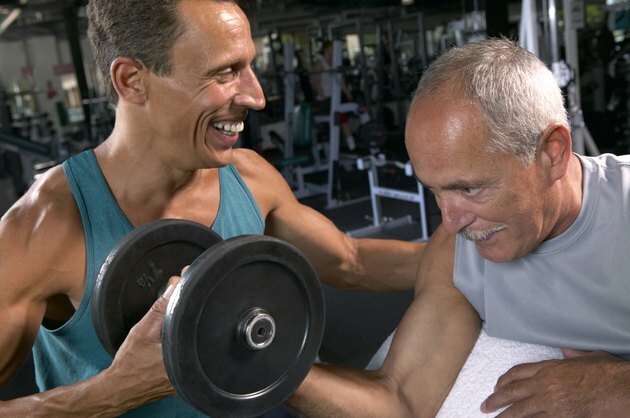 Working more muscle fibers during strength training sessions builds muscle and strength faster. Do three or four strength training workouts each week to get fast results, allowing 48 hours for muscle recovery between workouts for injury prevention. Strengthen your biceps doing bicep curls. To make sure all your bicep muscle fibers are used, do different variations of bicep curls by adjusting the direction of your hand holding the dumbbell. Researchers at the University of Wisconsin in a 2011 study found that triangle pushups, dumbbell kickbacks and tricep dips activate your triceps the most, building more muscle. Focus on these at the beginning of your tricep workout and spend the most energy on them. Then, do other tricep exercises like standing and lying overhead triceps extensions and dumbbell triceps pushdowns. By including more exercises, you make sure more muscle fibers are worked, since different exercises emphasize different parts of the muscle and work the fibers from different angles. Do both compound and isolation exercises to build more muscle fibers. Compound exercises work multiple muscles at once, like how pushups work the chest, shoulders and triceps. Machine weight exercises targeting your chest, like the pec deck machine, better isolate your chest muscles. The University of Wisconsin researchers determined bench presses and pec deck machine flyes are most effective chest exercises. Bench pressing also builds your deltoids, which are your shoulder muscles. Do shoulder presses for both your deltoids and chest, which are similar to pushups but allow you to add more resistance using machine or free weights. Isolate your shoulder muscles doing deltoid raises and and deltoid rows. Your main back muscles are your traps at the top and your latissimus dorsi on either side of your mid-back. The cat-camel and side bridge exercises are effective for strengthening these muscles. To do the cat-camel exercise, get on all fours and alternate between rounding and arching your back slowly. Do a side bridge by lying on your right side with your knees bent. Lift your hips and torso off the floor, holding yourself up on your right forearm, with your elbow directly under your shoulder. Only your right knee and foot should be touching the floor, with their left counterparts stacked on top. Hold still for 15 seconds and switch sides. All muscles contain both fast-twitch and slow-twitch muscle fibers. Fast-twitch fibers are exercised when you do explosive moves, like lifting heavy weights you can only lift for five to eight reps. You strengthen your slow-twitch fibers doing endurance exercise, like lifting lighter weights for 20 reps. Vary your rep range for each exercise so you can strengthen both slow-twitch and fast-twitch muscle fibers and build more muscle mass. Constantly increase the amount of weight resistance you lift as you get stronger to avoid strength plateaus. 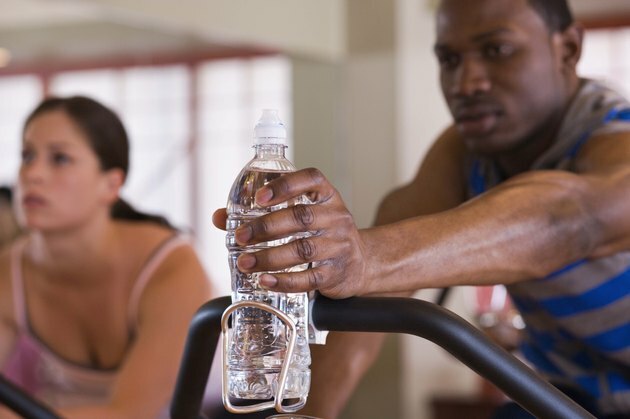 If you're working out to gain muscle at an accelerated pace, your metabolism will increase quickly as you lose body fat and gain muscle weight. This means you'll need to consume more calories than you burn and include protein in every meal so that your muscles can grow. 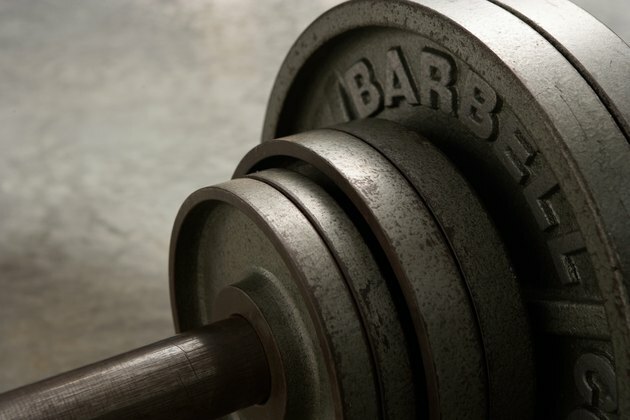 Don't over-train, since it will only cause setbacks in muscle growth and losses in strength. If you feel muscle or joint pain during or after a weight lifting session, stop and rest, elevate and ice the area in pain. How Often Should I Do Dumbbell Side Bends?